Updated 07/19/2018. Originally published 04/13/2016. In the 2016 edition of our annual articles about the seven trends in business analysis, project management, and Agile we noticed they have one thing in common—they are all about value. We see and hear the word “value” in articles, blogs, on videos, and even in the definition of business analysis: “…analyzing business needs and recommending solutions that deliver value…” (BABOK® Guide 3.0). With so much emphasis on value, we wonder whether the term “value” was just the latest buzzword, or if there has been enduring significance to the word. This article originally examined each of the seven trends, discussed its relationship to value, and explored whether value is a trend or here to stay. This update reviews where we are at today. 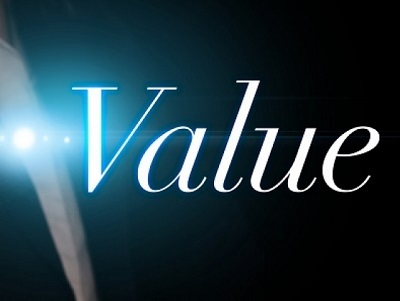 But what is “value?” It means so many different things to different people. Does it have to be quantified or can it be subjective? One of the authors (Elizabeth) has worked with an equal number of sponsors who required value to be measured and those who inherently understood the value of strategic projects. The latter group didn’t want to waste time quantifying something like “competitive advantage” or how much it would cost to upgrade technology, or although it could be done, measure the cost of risk avoidance. First, let’s attempt to define that very ambiguous word. As we said, it means different things depending on the application of the term to the business at hand. For example, in marketing, the focus is on the customer perception of the goods and services and their willingness to pay for them. In economics, there are two components—utility and power. In accounting, it has to do with monetary worth. [i] We suggest in project management and business analysis, that all these different aspects be considered. In 2015, the central theme of our Trends article was Innovation. It seemed that every organization wanted to be innovative and every person wanted to be an entrepreneur. However, we have seen that innovation, disruption, and entrepreneurship for their own sake are not productive. Organizations now realize that a focus on “disruptive” innovation can indeed be very disruptive. More and more of them are finding that disruption is expensive, and that entrepreneurship might better be handled by internal people (intrapreneurs) who have organizational history and knowledge. Said another way, there has to be a business case for innovation, and it must provide enough value to outweigh the costs and risks of disruption. With this in mind, let’s look at each of our seven trends for 2016 and its relationship to bringing value to organizations. This update also offers a brief update of how the trends have played out. As we said in the January article, executives have long been interested in getting the most value from initiatives. However, they have struggled with how to determine and measure it, let alone define what the term means. We suggested that the role of the business relationship manager could work with each executive or business unit to help them define value for their initiatives (projects, programs, and portfolios), as well as help them measure the value at agreed-upon intervals. UPDATE: business relationship management has grown steadily since 2016, although not as much as we predicted. In addition, there has been more of an emphasis on the strategic BA whose job is to help the organization evaluate the value of initiatives. We suggested that although Agile is gaining traction and has reached a level of maturity, there are still significant challenges. If we look through the prism of value, it seems that these challenges have arisen because many organizations view “being Agile” as an end in itself, rather than focusing on how Agile projects provide value. Let’s look at the challenges and how a focus on value would resolve these issues. Is everyone on board? We have long talked about how common it is to have a mismatch of goals among the executives, mid-level management, business stakeholders, and team members. The result of the mismatch are unmet expectations and disappointment. However, if every group were committed to providing value rather than becoming Agile, there would be a greater alignment of expectations and reduced conflict. Can teams be truly cross-functional? There are many online discussions about having generalists vs. specialists on Agile teams. It seems that there is a great deal of emotion surrounding the discussions, in which some parties say that if there are specialists it is not real Scrum and others talking about Scrum having outlived its usefulness. Perhaps, if we changed the conversation from the makeup of the teams to getting products to business stakeholders sooner, thus delivering value sooner, then the emphasis would be on what is the best makeup of the team to add value and not whether or not we were strictly following Scrum. How much governance should the team follow? Needless to say, the amount of governance depends on how much is needed to ensure the solution delivers value. 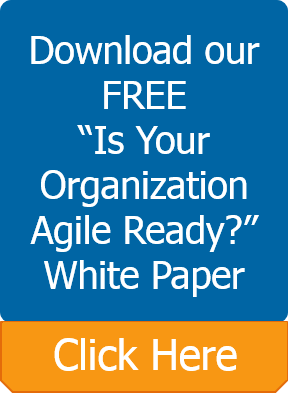 UPDATE: What’s new is that many organizations that plan to adopt or have already adopted Agile are aware of these challenges and many have addressed them. These organizations seem more comfortable with the choices they have made, some choosing to have specialized team members, others choosing a more generalized approach. We predicted that traditional BA and PM responsibilities will be augmented by involvement in strategic activities. This strategic focus is needed to ensure that our initiatives bring value to the enterprise as a whole, not just segmented interest groups. We said that project managers would be increasingly focused on delivering the benefits and value outlined in the business case and program charter and that business analysts who can question the strategic implications of projects and facilitate understanding the real business need behind stated needs will provide increased value to the organization and its customers. UPDATE: This trend is even stronger today. For instance, the emergence of the digital BA role moves the BA and PM roles into more strategic and “trusted advisor” roles. Trend #5: Certifications – and the winners are . . .
Certifications and professional designations are almost always obtained to provide value. Sometimes the value is to the organization. For example, hiring certified PMs, BAs, or Scrum Masters means that the hiring organization can rely on a level of knowledge and consistency, thus avoiding training and onboarding costs. Sometimes the perceived value is to the individual who feels that the designation will increase their value to a hiring organization. We do not know which certifications will be perceived as providing the most value to individuals or organizations or, for that matter, how much value they provide. However, we do know that the number of PMPs, CBAPs, PMI-PBAs, SCMs and CPOs continues to increase and will for the foreseeable future. UPDATE: Still no clear winners, although Agile certifications, are even more popular than in 2016. Organizations such as Scrum Alliance, PMI, and IIBA have all seen growth in their Agile certification offerings. To understand how this trend focuses on value, we need to understand the distinction between requirements (descriptions of the business need) and designs (descriptions of the functionality needed to build the solution). Requirements help us understand what problem needs to be solved and/or what opportunity is out there for the organization to take advantage of. Designs are not technical specifications. They are features of the solution which will address the business need. Remember that requirements and designs are not separate phases of the project life cycle. They are both part of business analysis. So how do designs add value? By developing designs in conjunction with requirements rather than waiting for the requirements to be fleshed out, we enable each feature to be developed and delivered sooner, thereby creating value sooner. UPDATE: As the place of business analysis becomes more recognized for the value it produces, this trend will only get more pronounced. A design focus moves product development along quicker without sacrificing on business needs. And with the emphasis on digital technologies, the focus on designs is more important than ever. Communication is increasingly becoming less formal and more frequent. Therefore, the costs associated with formal meetings with scripted, inflexible agendas are decreasing. That is not to say that we will return to the chaos of disorganized, unproductive meetings. It means that the facilitator as dictator who is the gatekeeper of a formal agenda is a thing of the past. As part of this trend, we are starting to reclaim some of the connectedness we recently lost working virtually. People now realize that face-to-face meetings are generally more effective and can be shorter than virtual meetings, despite the improved online tools. This means that meetings will need to be valuable to the participants. Meetings that are “fantastic wastes of time” and which do not add value will no longer be accepted. Similarly, to address the preferences of many younger workers, learning events are becoming shorter and more personalized, and need to be seen as highly valuable. Social media will help ensure that large numbers of people become aware of unproductive learning events, which will ultimately lead to low attendance. Organizations are beginning to adjust to the fact that they need to add value to employees if they have any hope of retaining them. Both younger workers with new ideas and loads of potential and older workers with valuable knowledge and experience will increasingly present a challenge to organizations who have to continually motivate these workers to stay. UPDATE: Many Organizations in general and project teams in particular find they are more productive with less formal communication. In addition, many of the inter-generational issues seem to have lessened in importance since we wrote this trend. In summary, the seven trends that we discussed in January 2016 are not separate trends, but each contributes to the value provided to the organization. And, they are definitely here to stay.